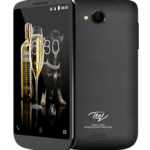 The itel 1551 (it1551) has been released. flash and a 2.0MP front camera and a 2100mah battery capacity to push all this. My iTel 1551 frequently freezes, what can I do?